Test Hook probe Product Details Used on enclosures prior to accessibility testing. The test hook is hooked into vents and seams in the enclosure and then pulled with a force (usually 20N). 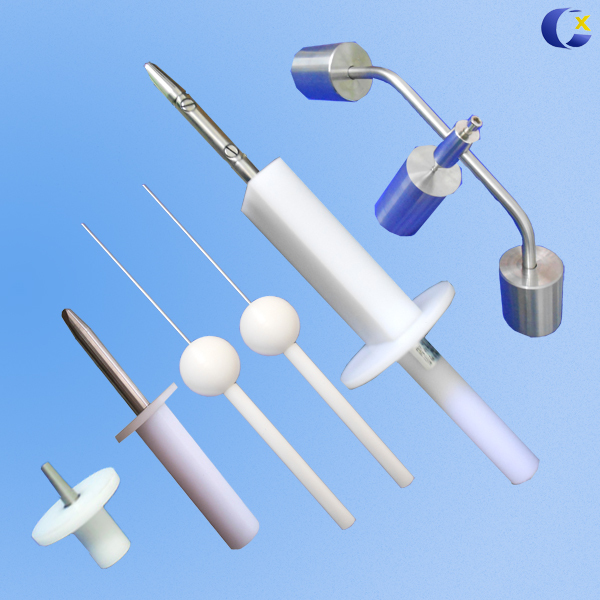 Chuangxin offers a wide range of probes to meet the most comon standards including those from IEC, EN, UL, GB and others. Suan standards require the checking of accessibility to hazardous parts of home electronics and appliances, toys, tools and a hose of other products that are intended to b protected by encloures. Thest probes simulate human fingers, tools, and other items that would be hazardous to come in contact with certain parts of products. Used on enclosures prior to accessibility testing. The tesk hook is "hooked" into vents and seams in the enclosure then, pulled with a force (usually 20N). 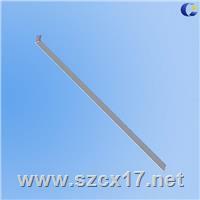 The hook has a hole at its long end, for use in conjunctiion with a PFI series Force Gauge. It's made of stainless steel.